Experienced filmmaker Michael Bennett (Te Arawa) won the inaugural Ngaio Marsh Award for Best Non Fiction for IN DARK PLACES (Paul Little Books), the astonishing tale of how teenage car thief Teina Pora spent decades in prison for the brutal murder of Susan Burdett, and the remarkable fight to free him. The international judging panel called it “a scintillating, expertly balanced account of one of the most grievous miscarriages of justice in New Zealand history”. The CWA Dagger winners for 2017 were announced yesterday at the Dagger Awards Gala Dinner. Visit the CWA website here. The full list is here. Congratulations to all the CWA Dagger winners. I’ve read and reviewed here The Dying Detective by Leif G W Persson –though I read it translated into Spanish– and I’m near to finish reading The Dry by Jane Harper. My review will be available soon. Stay tuned. Besides I have added to my wish list A Rising Man by Abir Mukherjee and Spook Street by Mick Herron. After a number of Backstrom adventures, what a pleasure to reach back in this series, and reflect on the gifts, various, of Persson’s earlier cast of mature characters. I quote Henry Reed’s parody of T. S. Eliot, ‘As we get older, we do not get any younger’. We do not, but perhaps we can remain ourselves until the end. Former Scotland Yard detective Captain Sam Wyndham starts a new life in Calcutta in 1919 desperately seeking to escape the horrors of the Great War. Yet before he can even acclimatise, he is appointed the head of a new CID and tasked with investigating the murder of a senior British official. With the aid of Indian-born Sergeant “Surrender-Not” Banerjee, Wyndham embarks on a journey into the dark underbelly of the British Raj to find the killer. I’m pretty sure that some of this books, if not all, are certainly worth your while. Penguin Classics, 2016. Format: Kindle Edition. File Size: 6254 KB. Print Length: 160 pages. First published in French as Les Mémoires de Maigret by Presses de la Cité, 1951. This translation first published 2016. ISBN: 978-0-141-9821-75. ASIN: B01FTGII4E. There is a previous English version with the same title by Jean Stewart published in 1963. Book description: Maigret sets the record straight and tells the story of his own life, giving a rare glimpse into the mind of the great inspector – and the writer who would immortalise him. My take: First and foremost this book is not a typical Maigret mystery. In fact it isn’t a crime fiction book and neither it is a book of memoirs, despite its title. 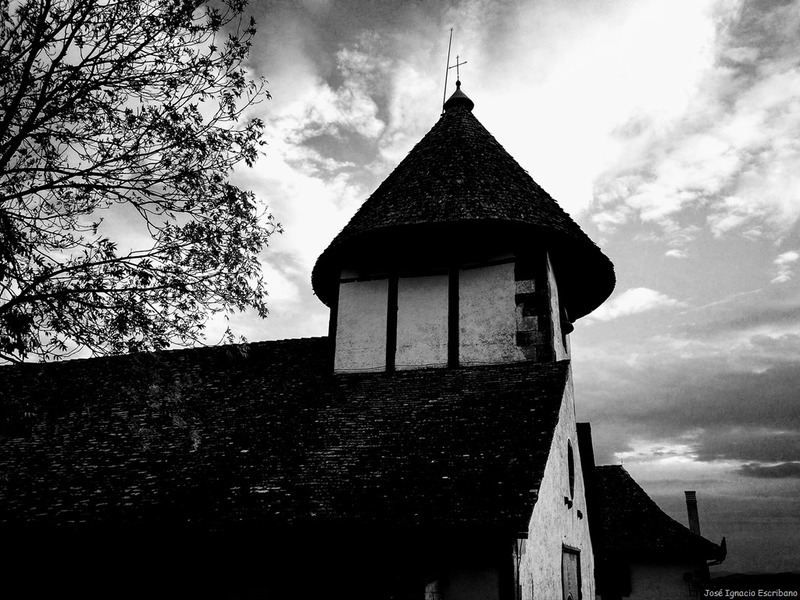 Simenon, or I should say Maigret himself, clarifies this point in the second chapter saying that ‘… I insist on declaring that the title Memoirs was not chosen by me, and has been given to the book only as a last resort, after we failed to find another word.’ ‘In fact it is not an account of events in which I (Maigret) have been involved in the course of my career. 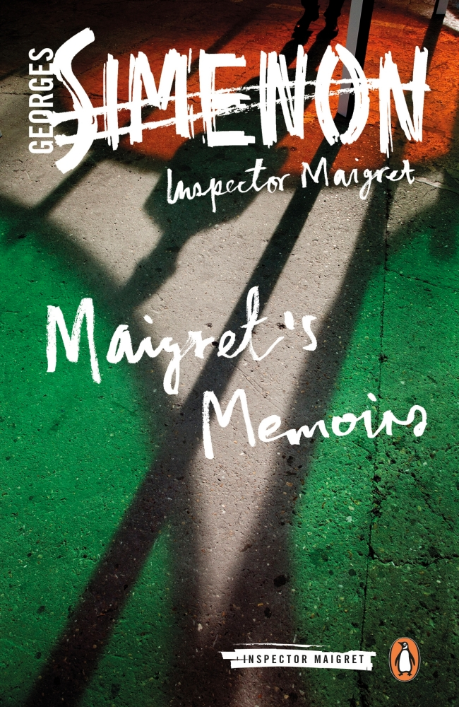 I fear the public will be disappointed.’ To end up saying that: ‘… what I am doing is simply confronting a character with a character, a truth with a truth.’ In essence in this book Maigret is given the opportunity to correct the author, on some of the inaccuracies Georges Simenon has written about him. Maigret`s Memoir is a relatively short book, written, as any other book of memoirs, in the first person. And, why not to say, in a style that may seem to us extremely old-fashion. The story covers roughly the time that goes from the early 20’s to the late thirties. For my taste the most interesting part of this book lies on its first chapter that relates the circumstances that surrounded the first encounter between Maigret and a young journalist eager to turn himself into a famous author who called himself at that time Georges Sim, before he begun to using his real name of Georges Simenon. Although I quite enjoyed some parts of this book, I will only recommend it to die-hard fans and to the so-called ‘completists’. Otherwise I believe it is a book that can be put aside given that, in my view, it adds very little to what we already know about our favourite character. Even at times, I found it hard to finish it. About the author: Georges Simenon was born in Liège, Belgium, in 1903. He is best know in Britain as the author of the Maigret novels and his prolific output of over 400 novels and short stories have made him a household name in continental Europe. He died in 1989 in Lausanne, Switzerland, where he had lived for the latter part of his life. About the translator: Howard Curtis is one of the top translators working in the UK. He translates from French, Spanish and Italian, and many of his translations have been awarded or shortlisted for translation prizes. Maigret’s Memoirs has been reviewed at Publishers Weekly and at Kirkus Review. Descripción del libro: Maigret aclara las cosas y cuenta la historia de su propia vida, ofreciendo un vistazo poco común a la mente del gran inspector, y al escritor que lo inmortalizaría. Mi opinión: En primer lugar, este libro no es un misterio típico de Maigret. De hecho, no es una novela de detectives y tampoco es un libro de memorias, a pesar de su título. Simenon, o debería decir mejor el propio Maigret, aclara este punto en el segundo capítulo diciendo que “… Insisto en declarar que el título Memorias no fue elegido por mí, y que le fue otorgado al libro solo como último recurso, después de los intentos fallidos por encontrar otra palabra”. “De hecho, no es un relato de sucesos en los que yo (Maigret) he participado en el transcurso de mi carrera. Me temo que el público quedará decepcionado.” Para terminar diciendo que: “… lo que estoy haciendo es simplemente enfrentar a un personaje con un personaje, una verdad con una verdad.” En definitiva en este libro Maigret tiene la oportunidad de corregir el autor, sobre algunas de las inexactitudes que Georges Simenon ha escrito sobre él. Las memorias de Maigret es un libro relativamente corto, escrito, como cualquier otro libro de memorias, en primera persona. Y, por qué no decirlo, en un estilo que nos puede parecer extremadamente anticuado. La historia cubre aproximadamente el tiempo que va desde principios de los años 20 hasta finales de los años treinta. Para mi gusto, la parte más interesante de este libro se encuentra en su primer capítulo que relata las circunstancias que rodearon el primer encuentro entre Maigret y un joven periodista ansioso por convertirse en un famoso autor que se llamaba en ese momento Georges Sim, antes de comenzar a usar su verdadero nombre de Georges Simenon. Aunque disfruté de algunas partes de este libro, solo lo recomendaré a fanáticos incondicionales y a los llamados “completistas”. De lo contrario, creo que es un libro que se puede dejar de lado dado que, en mi opinión, añade muy poco a lo que ya sabemos sobre nuestro personaje favorito. Incluso a veces, me resultó difícil terminar su lectura. Desde un punto de vista sociológico, tal vez se pueda destacar que el capítulo seis describe el levantamiento pro-fascista en París el 6 de febrero de 1934. Esto puede recordarnos que, hoy en día, todavía no hemos resuelto ciertas cuestiones a pesar del tiempo que ha transcurrido. Específicamente el problema de la inmigración. (En este sentido, pueden leer: Paris’ eerily familiar 1930s immigrant problem). Sobre el autor: Georges Simenon nació en Lieja, Bélgica, en 1903. Es más conocido en Gran Bretaña como autor de las novelas de Maigret y su prolífica producción de más de 400 novelas y cuentos lo han convertido en un nombre muy conocido en la Europa continental. Murió en 1989 en Lausana, Suiza, donde vivió la última etapa de su vida. Read more about the Princess of Asturias Awards here at Wikipedia.